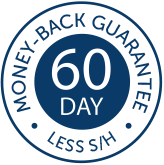 "I personally back every product with my unique 60-Day, Bottom-of-the-Jar Guarantee." Reclaim® really does work. Our exclusive Argireline® Molecular Complex and HydraMoisture Technology® work synergistically to produce significant results in visible line reduction, skin smoothness, exfoliation rate and hydration. It all adds up to the Principal Secret® formula for true beauty. 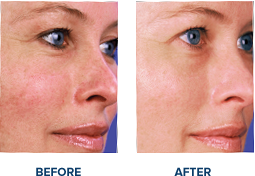 Now you don't need to resort to drastic measures to help recapture your youthful appearance. All you need is Reclaim®. In fact, over 70% of the participants in a clinical study using Reclaim® with Argireline® reported a decrease in the appearance of visible fine lines and wrinkles around the mouth area, between the brows and around the eyes. Instagram and share your story with her!